No matter what the size of the project is. Get in touch with us to discuss your needs. 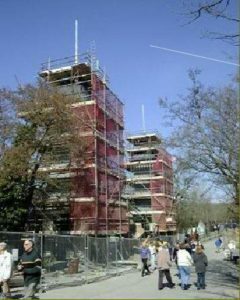 So if your a local builder, commercial property developer or local services that require some scaffolding services. Get in touch today. Call us now for a discussion in how we can assist you. 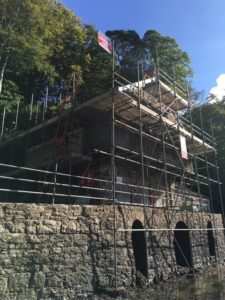 There are times when your scaffolding needs turn to the difficult and out of the way projects and requires expertise to resolve and to design and always observing the safety of workers and users of the scaffolding at all times. 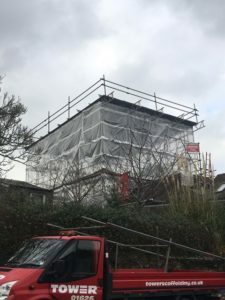 We at Tower pride ourselves on the skills that our scaffolders have learnt. Whatever your requirements or problems may be, our estimators are always available to discuss and advise you of the best way to complete the job. 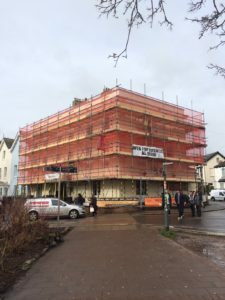 Our premises are located at Newton Abbot near the Penn Inn roundabout, which ensures our easy access to the surrounding area so each task can be carried out with the same amount of individual attention. We are specialists in the placement of temporary roofs.